2016 Mazda 3 i-Touring 5-door hatchback. Pristine local low mileage car that has never had any form of accident or issue. Clean one driver car- not a rental. Spiffy example of the safest and sportiest driving car of the Big 3 Japanese compacts (Civic, Corolla, Mazda 3) and equal or better low maintenance and great longevity. 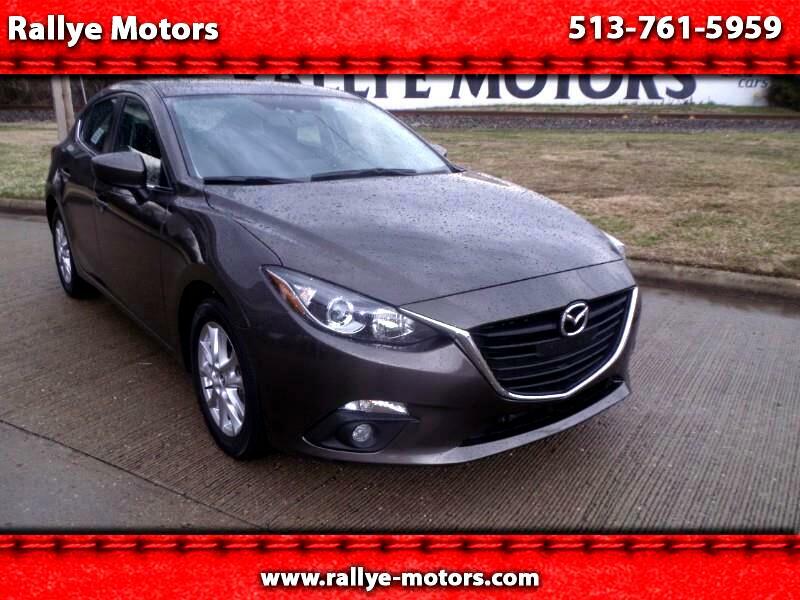 In Mazda powertrain warranty to 2/10/2021 or 60,000 miles. Let us email you a copy of its long, option list. This has more perks tha a Starbucks which makes its book value well above our special price. Wonderful value so that you can afford the best. Its option list includes 155 hp 2.0 liter SkyActiv motor which is agile while cracking 40 MPG, FWD, 6-speed automatic transmission with sport manual mode, dual zone auto climate control, Bluetooth phone/audio streaming, Blind Lane Monitors, Rearview Camera, Rear Cross-Traffic Warning, power moonroof, power windows/locks/mirrors, tilt/telescopic steering wheel with phone/ audio/ telemetry/ cruise controls, Bose 9-speaker audio with AM/ Hi-Def FM/ CD with mp3/ Pandora-AHA-Stitcher-Bluetooth apps/ usb jacks/ XM Satellite radio, hill launch assist, ABS, Stability and Traction Controls, Smart Key withpushbutton start, heated outside mirrors, 5-way manual adjust driver seat, fold-down rear seats, hatch spoiler, rear wiper/defroster, front/side/head airbags, alarm, alloy wheels, auto headlights, foglights, cargo cover, much more. Looks literally and figuratively like a new car.